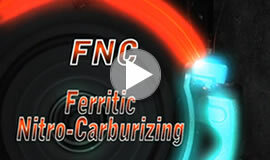 Ferritic Nitrocarburizing (FNC) is a process used to reduce corrosion on brake rotors. FNC eliminates “lot rot” by drastically improving the rotors cleanability. 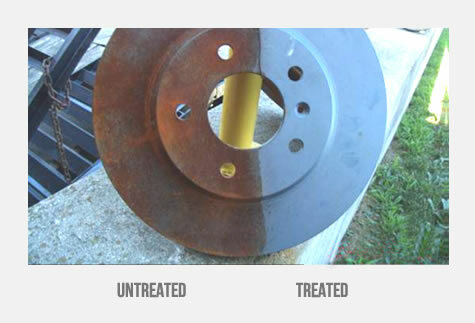 Brake pulsation due to corrosion is eliminated when FNC is applied. 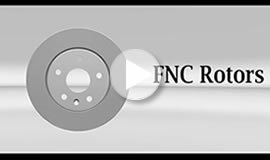 FNC Brake rotors last longer because of their resistance to wear and corrosion. 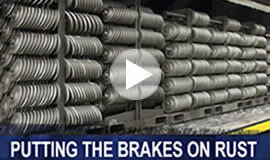 Using various test methods such as, SAE J2334 “Cyclical Corrosion Testing”, SAE J201 “In Service Brake Test Procedure”, SAE J2928 “Thermal Fatigue Test Procedure” and SAE J1247 “Simulated Mountain Driving Test Procedure”, Woodworth Incorporated has made great strides in supplying this technology on many automotive, light truck and off-highway brake applications. 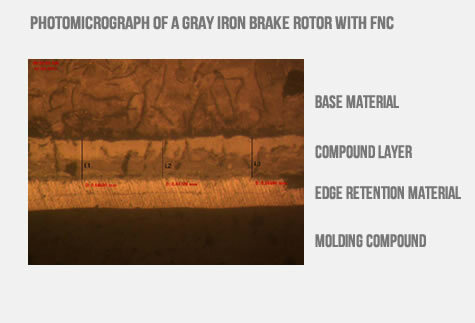 It is worth noting that many automotive applications require strict dimensional controls and Woodworth has developed technology that ensures disc thickness variation to less than 10 microns and lateral run out to less than 30 microns.